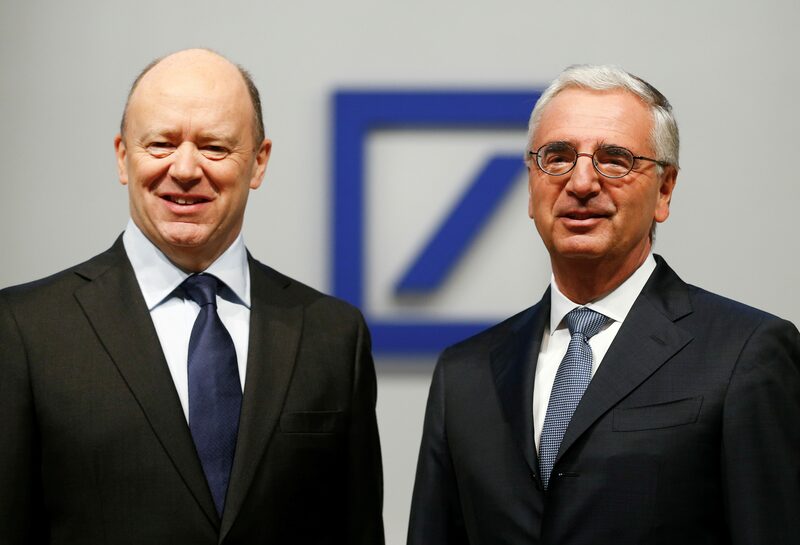 Deutsche Bank Chairman Paul Achleitner is seeking to replace CEO John Cryan. The lender needs someone who can motivate traders while slashing costs, and take on Wall Street without neglecting Germany. Breakingviews imagines the pitch headhunters have sent to potential candidates. Matt Zames, a former JPMorgan executive, has been contacted by recruiters in recent weeks to replace Deutsche Bank’s Chief Executive John Cryan, Bloomberg reported on April 5. Paul Achleitner, the chairman of Germany's largest bank by assets, has begun a search to replace Cryan but the process is still at an early stage, Reuters reported on March 27. The Times on March 26 reported that the bank had approached Richard Gnodde, a senior Goldman Sachs executive, to replace Cryan. The paper also named Jean Pierre Mustier, chief executive of UniCredit, and Bill Winters, chief executive of Standard Chartered, among other possible replacements. Cryan has struggled to turn around the German lender since being appointed sole CEO in May 2016. Deutsche Bank shares were down 2 percent at 11.44 euros by 0800 GMT on April 6. The shares are down 28 percent this year, making Deutsche one of Europe’s worst-performing financial stocks.